Twitter has released its huge Year of Tweets roundup for 2012, giving us a look at what happened throughout the year through our own retweets and favorites. And while Barack Obama’s Election and the Summer Olympics (wow, that seems like forever ago), were among the most discussed topics, we were curious to see what kind of devices there were most tweets about. And it was no huge surprise to see that Apple’s iPhone, iPad and the company itself were among the most talked about. What was a bit more surprising is that actually AT&T came up first as the top tech trend of the year. With the company’s attempt to buy T-Mobile in what could have become the biggest deal the industry has seen, that is hardly a surprise, but we wonder whether those tweets mentioning the nation’s second larger carrier were positive or negative ones. On Twitter, Skype also was hugely discussed and so was the Kindle tablet and its maker, Amazon. Check out the full list of Twitter’s 2012 top tech trends below, and don’t hesitate to hit the source below for the full Year of Tweets round-up. no? You and Darkkjedi do it all the time - look at comment 1 - and stop being a hypocrite. Dude my sense of humor is awesome, if u poke fun at me I'm gonna laugh. I don't take stuff too seriously. 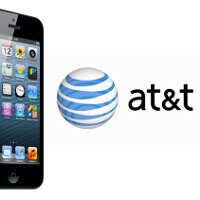 As a long time tech enthusiast, I doubt the majority of At&t twitters were positive. Well, they love their iphone and I read that more people prefer the iphone on AT&T's network, but they hate the network - iphoners sure are awesome and intelligent people. O no this cant be true? I have a twitter account and the only thing stopping me from canceling is that when you play games like the Hobbit, the software company runs a deal where if you tweet about it, you get some game stuff. Or, take Flixster, they will give free movies from time to time when you tweet about them. Seriously, who wants to tweet every frigging step of their life? Dude u r really taking this serious aren't u? Boy hearing about the iPhone leading a catagorey is like taking away your pacifier huh?